Almost at the centre of the Caribbean Sea, Jamaica lies 150 kilometres (90 miles) south of Cuba and 160 kilometres (100 miles) west of Haiti, the two nearest countries. It is located between 77° to 79° western geographic longitude and 18° northern geographic latitude. The closest point to Jamaica in South America is Cartagena in Colombia, a distance of 710 kilometres (445 miles) almost due south. The latitude and longitude of the capital, Kingston, are about 76°47′ W and 18°01′ N.
Jamaica is the largest of the English Speaking West Indian islands. It has an area of 10,991 square kilometres (4,244 square miles), more than twice the area of Trinidad, which is next in size, and measures 243 kilometres (146 miles) from east to west. Its greatest width is 80 kilometres (51 miles), from St. Ann’s Bay to Portland Point. The distance from Kingston to the nearest point on the north coast, Annotto Bay, is 36 kilometres (22 miles). Text to be added on the development of aviation in Jamaica. The registration prefix ‘VP-J’ was used from 1929 to 1964; eg:VP-J-AAA to VP-J-ZZZ. An all-time Civil Rotorcraft Register of Jamaica listing is here. On the 4th of May 1494, Christopher Columbus arrived at the island of Jamaica. Prior to the arrival of the Spaniards, Jamaica was inhabited by Arawaks, living in simple communities based on fishing, hunting, and small scale cultivation of cassava. They had probably come from the country now known as Guyana, where Arawak Indians are still to be found. The impact of the contact with the Spanish was traumatic, and these communities disappeared in 70-80 years. But it was not occupied until Juan de Esquivel came from Santo Domingo in 1509 and for 146 years Jamaica remained a Spanish colony. Disappointed by the absence of gold on the island, the Spanish used Jamaica as a base for supporting the conquest of the Americas, particularly Mexico with its treasures of gold and silver. The population of the Spanish settlement, including their slaves, was never large. It was administered from the Town of Santiago de la Vega, now called Spanish Town. Economic activity consisted primarily of production for domestic consumption, and to a lesser extent the supply of Spanish ships. In 1655, on May 10, a body of English sailors and soldiers landed at Passage Fort, in Kingston harbour, and marched towards Spanish Town. They were commanded by Admiral Penn and General Venables, who had been sent by Oliver Cromwell to capture the island of Hispaniola. Penn and Venables failed to take the city of Santo Domingo and sailed on to Jamaica. On May 11, the Spaniards surrendered. By this time, the island was of little significance to the Spanish crown, and accordingly, very little was done to defend it. In 1657 Don Cristobal Arnaldo de Ysassi led strong guerrilla forces in the interior. He had been appointed the last Spanish Governor of Jamaica. Two expeditions from Cuba came to the north coast to help him. General Doyley attacked both times by sailing around the island from Kingston. He defeated Ysassi near Ocho Rios in 1657 and at Rio Nuevo in 1658, the last named being the biggest battle ever fought in Jamaica. Ysassi continued to hold out until 1660, when the defection of Maroon allies made his cause hopeless, and he and his followers escaped to Cuba in canoes. After a brief period of experimenting with indentured European labor, the British turned to large scale importation of Africans to be used as slaves on the sugar plantations. In its hey-day, Jamaica was one of "the jewels in the English crown" because of the fabulous prosperity it brought to the English plantation owners directly, and indirectly to those cities, such as Liverpool and Bristol, which serviced the trade with Jamaica and the rest of the British Caribbean (West Indies). The political system consisted of a governor and his executive council, and an assembly of representatives elected on a limited franchise determined by property ownership. The politics of this period was characterized by an uneasy alliance between the governor as the representative of the crown, and the Assembly of planters, against the slaves. Frequently, the alliance broke down, invariably over taxation of the plantations. Rallying to the cause of the slaves were the Maroons who were descendants of ex-slaves who had fled to the hills following the British take-over of the island in 1655. One of their outstanding leaders at the beginning of the 18th century was Nanny, a Chieftainess of Nanny Town in the Blue Mountains. "Grand Nanny", as she was fondly called, was known by both the Maroons and the British settlers as an outstanding military leader who became, in her lifetime and after, a symbol of unity and strength for her people during times of crisis. In 1741 war having broken out again between England and Spain, Jamaican troops took part in Admiral Vernon’s disastrous attempt to capture Cartagena. Governor Trelawany personally led a regiment to the Isthmus of Panama the next year, but soon returned, unsuccessful. saved Jamaica from a French invasion. By the close of the 18th century, sugar was losing its economic preeminence because of competition from beet sugar as well as rising production costs. On the 1st of August 1838, the slaves were Emancipated and the plantations had to begin paying wages to its workers. One of Jamaica’s national heroes, Rev.Sam Sharpe, after whom Montego Bay’s city square is named, is celebrated for his leadership role in the famous Christmas rebellion of slaves in 1831, a few years before Emancipation. After Emancipation, many of the ex-slaves settled down as small farmers in the mountains, cultivating steep hill slopes far away from the plantations. Still others settled on marginal lands in the plains nearby the plantations on land leased or bought in various land settlement schemes organized and sponsored by Christian groups such as the Baptists. Struggles over land were central themes in the history of this period, culminating in the Morant Bay rebellion, for which two of Jamaica’s national heroes, George William Gordon and Paul Bogle paid with their lives. Jamaica’s importance as a military and naval station declined steadily during the nineteenth century. The wealth which came to this island through its being made, at the time of the Napoleonic wars, a depot for goods to be smuggled or sold to the neighboring Spanish-American countries, diminished also. Twenty years after the battle of Trafalgar the Jamaican planters began to complain bitterly of poverty. The great days of Jamaica’s prosperity were over. Her days of adversity had begun. In 1815, Simon Bolivar, the Liberator of Spanish Central America, came to Jamaica as a political refugee and remained for about seven months. Then suddenly, the Great War broke out on August I, 1914. It involved Jamaica, as it involved every other country in the world, directly or indirectly. Its influence on this island was felt all the time it lasted and the influence of changes it brought about were felt by generations to come. Jamaica took part in the War, sending to the front about ten thousand men. When the war started, Martial Law was immediately proclaimed in Jamaica and a body of troops called the Jamaica Reserve Regiment was formed for the defence of the island. During 1926 the West India Regiment was disbanded. The Regiment had had a long and distinguished career. It first formed in America as the North Carolina Regiment in the year 1779. It was later re-organized and named the West India Regiment. It took part in the capture of St. Lucia, Martinique, Guadeloupe and Dominica, during the wars with Napoleon. During the latter part of last century it was frequently engaged in operations on the West Coast of Africa, notably Ashantee (1873), West Africa (1887, 1892-1894), and Sierra Leone (1898), and in the Great War (1914-1918) the Regiment saw service in Palestine, the Cameroons and East Africa. The final parade of the Regiment was held at Up Park Camp on the 26th October, 1926. The roots of the national movement for independence reach back into the struggles for land in the 19th century. More immediately, it was inspired by the political ideas and agitation of Marcus Mosiah Garvey, one of Jamaica’s national heroes, and precipitated by the reaction of the sugar and dock workers to the economic crisis spawned by the Great Depression. It emerged as a political force in the context of the rebellion in 1938. Its most enduring political institutions, are the two major political parties, and the labor unions affiliated to them. Both the founder of the Jamaica Labor Party (JLP) and the Bustamante Industrial Trades Union (BITU), Alexander Bustamante, and the founder of the People’s National Party (PNP) and the National Workers Union (NWU), Norman Manley, have been declared national heroes for their individual and combined efforts in securing political independence from England. The constitutional change that facilitated the emergence of these parties was the granting of adult suffrage and a measure of self-government in 1944. With the beginning of the Second World War, Jamaica, like other parts of the Empire, was immediately placed under the Defence of the Realm Act, under which the Governor made regulations controlling prices of all commodities to prevent profiteering, controlling foreign exchange, and imposing censorship of the press, mails and of telegraph and cable messages. In 1940 Great Britain and the United States entered into an arrangements by which the United States was granted air, military and naval bases in British territory. Among the places selected for these bases was Jamaica, one at Portland Bight, and another at Vernamfield in Clarendon. A corps of American engineers arrived in the island shortly after the arrangement between the two countries was completed, and immediately set to work on plans for the building of the bases. On 20 November 1944 a public holiday was declared, which is known as Constitution Day until after Independence in 1962 when it was replaced by national Heroes Day, on the third Monday of October. The period 1944-1962 not only saw major political changes, but also major transformations of the structure of the economy. From a monocrop export economy, the economy became diversified around the export of sugar, bananas and other agricultural commodities, the export of bauxite and alumina, and the tourist industry. These in turn, stimulated a vibrant construction industry, and an import substituting manufacturing sector. The USA displaced the UK as Jamaica’s principal trading partner. There was also a tremendous migration of labor to the UK and the USA which needed labor for the post-war reconstruction and expansion of their economies. On November 11 1957, Jamaica received full internal self-government which meant a complete change of the political structure that had existed for almost three centuries. This change gave control of all internal matters to a Council of Ministers, called the Executive Council, nominated by the Governor on the recommendation of the Chief Minister, who now became known as Premier. This Parliamentary system was modeled on that of the United Kingdom. There were now ten Ministers instead of the nine under the 1953 Constitution. On December 31 1958 the Jamaica Regiment disbanded, most of its members being absorbed the next day by the West India Regiment. The new Montego Bay International Air Terminal was officially opened to traffic on July 9 1959, while in August the new 7,600 ft. runway at the Palisadoes Airport, near Kingston, was opened to traffic, even though the new terminal building was still under construction. Political Independence was granted in 1962, following Jamaica’s rejection, by referendum, of membership in the Federation of the West Indies. Jamaica was given a Westminister style constitution, with a Governor-general as the representative of the British Crown, and a bicameral Parliament. There is a House of Representatives consisting of elected representatives and a Senate appointed by the Prime Minister and the Leader of the Opposition. The government is headed by a Prime Minister, who is required to consult with the Governor General and the Leader of the Opposition on certain matters. The first two governments were formed by the JLP, which had opposed membership in the Federation. On May 31 1962, the West Indies Federation was dissolved. Jamaica, after her decision of late September 1961, to secede, had remained a member until its dissolution. On June 22, the last British Regiment in Jamaica, The Royal Hampshire Regiment, left the island, thus bringing to a close an era which had begun in 1655, since when British troops had always been quartered in Jamaica. At midnight on August 5, 1962, Jamaica became a free independent nation within the British Commonwealth of Nations. A ceremony marking the event was held at the newly constructed National Stadium in Kingston, which was filled to its capacity of 35,000. A ceremony marking the inauguration of Air Jamaica was held at the Palisadoes Airport on the 1st of May 1966, coinciding with the departure of the first Air Jamaica flight to Miami. On April 1 1969 Air Jamaica (1968) Ltd. started operations. The company was formed between the Government of Jamaica and Air Canada to operate Jamaica’s National Airline. Registered in October, 1968, it replaced Air Jamaica Ltd., which concluded operations on March 31. Between 1972 and 1980, the PNP, the other major political party, held political office and initiated a shift in major economic policies. Most notable was the imposition of the Bauxite Levy in 1974, in order to increase Jamaica’s share of the income in that industry. The government positioned the state in the leadership role within the process of economic development, with a view to attenuating and rectifying the inherited economic inequalities. On June 24 1980, a plot was discovered by the Jamaica Defence Force to overthrow the Government by force. Twenty-four JDF personnel and three civilians were detained. All those tried were eventually freed. From 1980 to 1989, the JLP held political office. They were committed to the same free market development policies as the IMF, the World Bank, and the USAID. Because of a special political relationship with the Reagan administration, Jamaica benefited from generous USA assistance in the first half of the decade. The economy was substantially deregulated, the currency was devalued, and many public enterprises were divested in the process of adjustment, which has now been on-going for some 14 years. In October 1983, Jamaica and Barbados accepted the call made by Dame Eugenia Charles of Dominica to send troops to Grenada to act as police in charge of prisoners taken by the US troops. The US had invaded Grenada to seize power from Communists in the Maurice Bishop Government who had overthrown Prime Minister Bishop and then assassinated him and some of his Ministers. The rebels were keeping the Governor General, Sir Paul Scoon, hostage in the Governor General’s residence. Cubans were assisting the Grenadian Communists, an some died in the fighting following the invasion. There were no Jamaican casualties. Grenada returned to elective Governments in 1994. The eighties also saw large volumes of emigrants, primarily to the USA, swelling the ranks of established overseas Jamaican communities, and creating new ones. Jamaicans are contributing in every sphere of human activity, and distinguishing themselves in cultural activities, such as music, and sports. In addition, Jamaicans have been accumulating significant quantities of wealth in assets in the USA and other countries. In 1989, Manley was returned to power. Although he still enjoyed huge personal popularity, Manley was in poor health and in early 1992 he retired to be replaced by his deputy Percival (‘PJ’) Patterson. By now, the PNP leadership had reoriented the party, dropping much of its previous radical agenda, effecting free-market economic policies and making great efforts to stay on good terms with the US. Elections in April 1993 confirmed Patterson in the post with a landslide victory. The PNP under Patterson has been in power ever since; it won the most recent poll in October 2002 somewhat against expectations and once again conducted in an atmosphere of intense violence and intimidation, especially in deprived urban areas. Despite losing three elections in a row, Seaga remains the leader of the JLP. For the new government, the main priorities are dealing with the economic situation – which is still poor – and meeting persistent demands for constitutional reform. 4 May 1494 Christopher Columbus arrives on the island of Jamaica and makes it a Spanish colony. 10 May 1655 English troops land in Jamaica and after some fighting conquer the island. 1664 The first House of Assembly was called together. 1694 A French Fleet invaded the North of Jamaica but was driven back by colonists and slaves. 1760 A formidable insurrection of the slaves took place. They fought desperately, but in the end they were defeated. 1807 Slave Trade between Jamaica and Africa was forbidden by the British Parliament. 1833 The Abolition Act to free slaves in the British Empire was passed. 1907 An earthquake destroyed Kingston. 1914-1918 About 10.000 men fought during Word War I with the British Army in Europe. 1926 West India Regiment was disbanded. 1940 Britain and the United States signed an agreement for the use of military installations in Jamaica. One US base was set up at Portland Bight and another at Vernamfield in Clarendon. 20 November 1944 The day was declared a public holiday, and is known as Constitution Day. 11 November 1957 Jamaica received full internal self-government. 31 December 1958 The Jamaica Regiment disbanded, most of its members being absorbed the next day by the West India Regiment. 1959 The new Montego Bay International Air Terminal was opened to traffic on July 9. 31 May 1962 The West Indies Federation was dissolved. Jamaica, after her decision of late September 1961, to secede, had remained a member until its dissolution. 22 June 1962 The last British Regiment in Jamaica, The Royal Hampshire Regiment, left the island, thus bringing to a close an era which had begun in 1655, since when British troops had always been quartered in Jamaica. 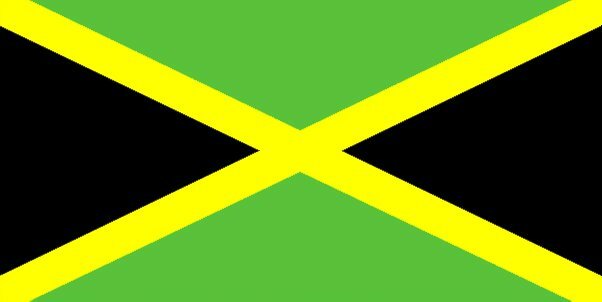 5 August 1962 At midnight on August 5, 1962, Jamaica became a free independent nation within the British Commonwealth of Nations. 1966 A ceremony marking the inauguration of Air Jamaica was held at the Palisadoes Airport on May 1, coinciding with the departure of the first Air Jamaica flight to Miami. 1969 On April 1, Air Jamaica (1968) Ltd. started operations. Registered in October, 1968, it replaced Air Jamaica Ltd., which concluded operations on March 31. National Heroes Day was established on October 20, to be celebrated on the third Monday in October each year thereafter. 24 June 1980 A plot was discovered by the Jamaica Force to overthrow the Government by force. Twenty-four JDF personnel and three civilians were detained. April 1993 PNP under Percival (‘PJ’) Patterson wins elections.